This is completely different from, and must not be confused with, the safety factor, which is a factor to be applied to the yield stress in simple elastic design procedures. Fig. 3.15. 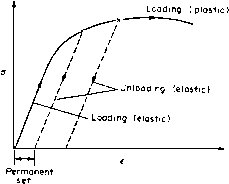 Tensile test stress-strain curve showing elastic unloading process from any load condition, t E.J. Hearn, Mechanics of Materials 1, Butterworth-Heinemann, 1997.
unloading stress distribution is therefore linear and it can be subtracted graphically from the stress distribution in the plastic or partially plastic state to obtain the residual stresses. Fig. 3.16. 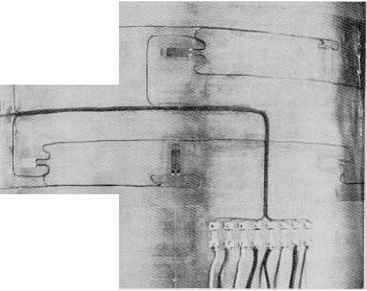 Residual stresses produced after unloading a rectangular-section beam from a fully plastic state. Fig. 3.17. Residual stress produced after unloading a rectangular-section beam from a partially plastic state.